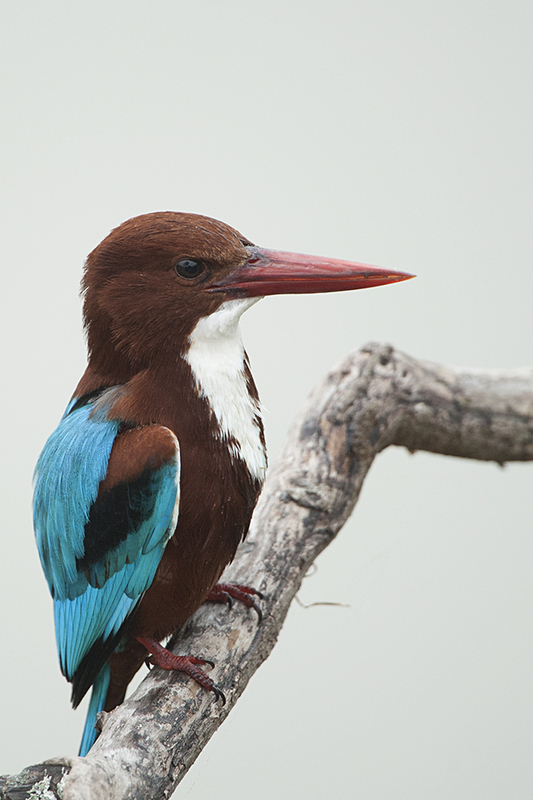 White-breasted Kingfisher is the most common of all Kingfishers in India. 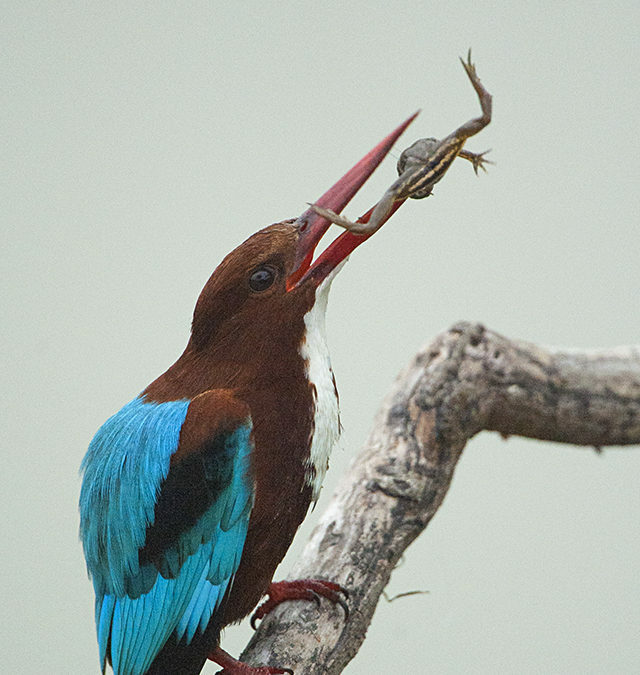 So many times when you see this bird, you don’t even pick up your camera to take a picture. 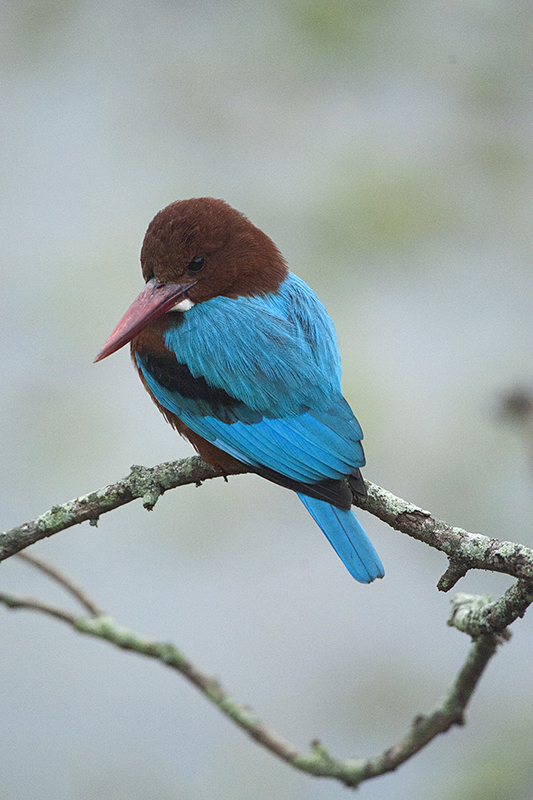 And it was no different on this cloudy morning in Bandipur National Park. We were waiting at the same waterhole where we had a spectacular sighting of a Royal Bengal Tiger the other day. 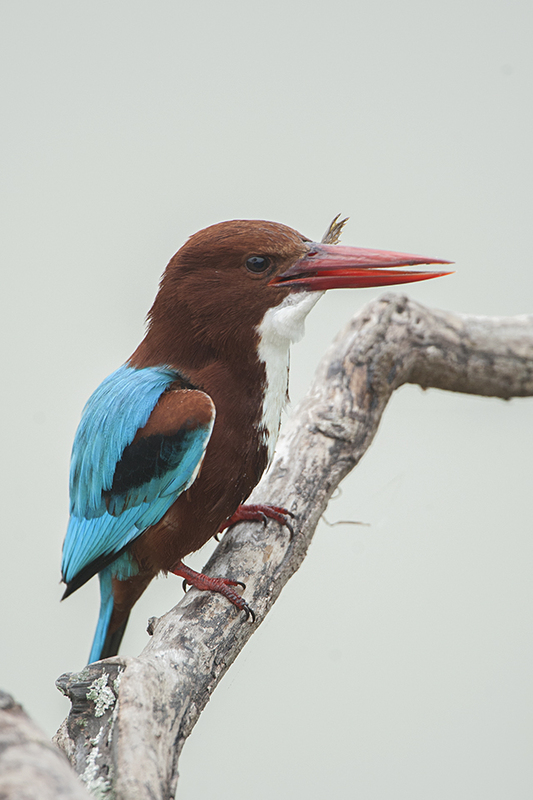 I saw this White-breasted Kingfisher perched on a twig close to where we had parked the Jeep. I was trying to take a few pictures, hand-holing the massive 600mm lens that I had rented for this trip. 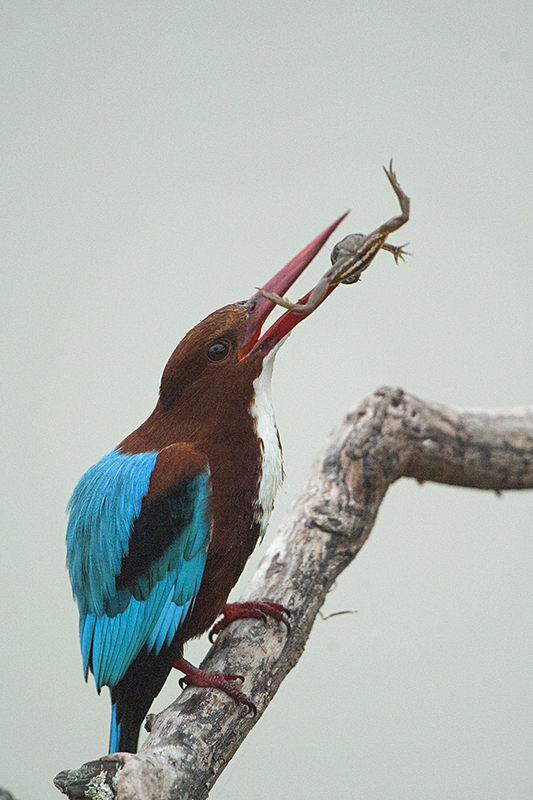 And in a matter a minutes, this Kingfisher returned back to the same perch with a frog in its clutches. 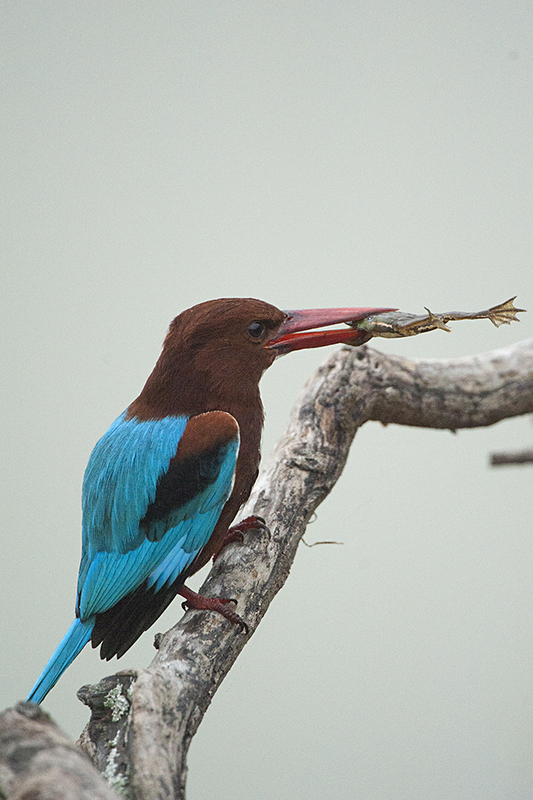 And suddenly all the photographers in the Jeep were frantically trying to get pictures of the most common Kingfisher. 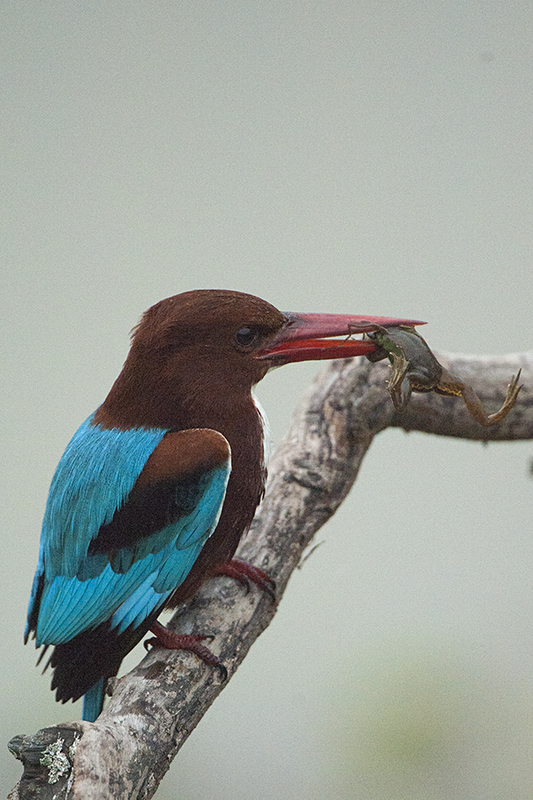 In a matter of minutes, the Kingfisher made a quick meal of the frog and was back to its harmless pose (last image) as if nothing had happened.